Also known as Red Pippin. We have a lot of experience in growing this apple variety. I even remember the time when it was first introduced. This is one of the apples which is greatly undervalued. It was introduced in 1972 by Dr. Alston, at that time the breeder at East Malling Research Station in Kent. The mark that I would give to this apple is 9 out of 10. It eats well, it keeps well and it looks attractive. It doesn’t shrivel easily. The fruit is crisp and of decent size. 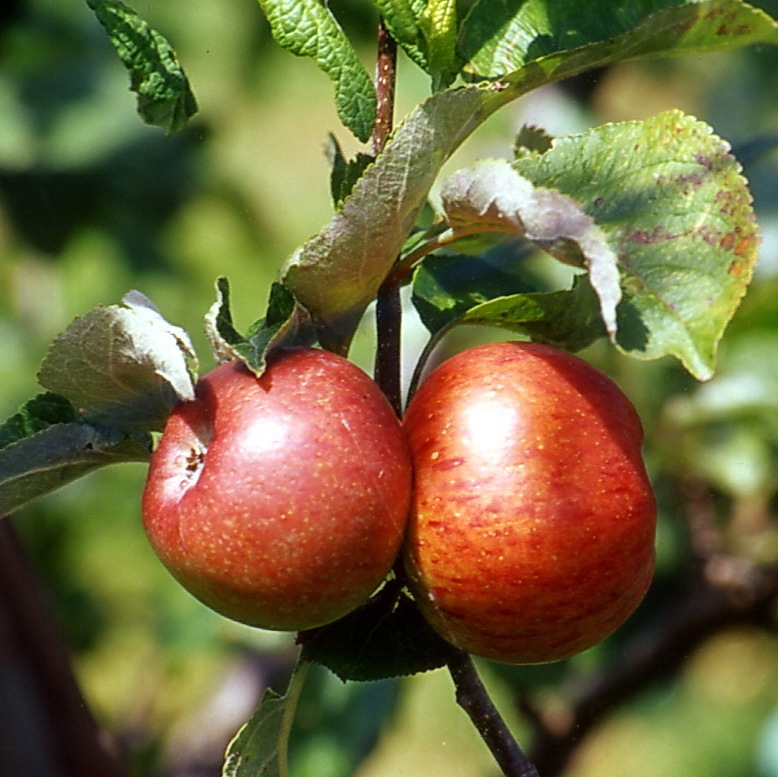 One of the parents is Cox’s Orange Pippin. Irrespective of weather conditions it crops every year. It is a partially self-fertile diploid variety, so it will produce a crop as a single tree, though it benefits from a pollination partner. It is very easy to grow, and it is suitable for all parts of the UK. It is a super pollinator and does not need a lot of room. By January it still has a very good flavour. Primarily an eating apple, it also produces an excellent apple juice.The perfect apple to train as an espalier or grow on M26 as a cordon.